Answering in advance the question which may occur to some of you, we emphasize at the outset: no, we have not expected this as well! Setting up our blog, we didn’t have any missionary ambitions. We wanted above all to inform and, to the extent that it is possible on the internet, to share our own fascination with Anglican Christianity and particularly the Episcopal Church. It didn’t cross our mind that we will ever face questions about the possibility of planting an Episcopal congregation in Poland. On the first anniversary of the blog we asked this question openly. Your reactions persuaded us to do something about it. Luckily we also met people who supported this. There are many, but two persons deserve being mentioned by name: Prof. Daniel Joslyn-Siemiatkoski from Church Divinity School of the Pacific in Berkeley, California, and the Bishop of the Convocation of Episcopal Churches in Europe, Rt. Rev. Pierre Whalon. Without their active help we wouldn’t achieve anything. The meeting will be interpreted and the English-speaking guests will be provided with a translation of the Polish presentation. We invite people interested in Anglicanism, and above all in the Episcopal Church. 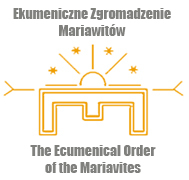 We welcome everyone who adhers to the vision of a church referring to the ancient local traditions and at the same time open to the questions and challenges of today; a church in whose heart lies a beautiful liturgy, and above all the sacramental life, and which, proclaiming the Gospel of Jesus Christ, boldly takes up the difficult moral and social issues. A church that wants to be a church welcoming all, regardless of gender, political convictions, social status and sexual orientation. If you dream of a church like that, let’s meet, get to know each other and talk! And above all thank God in Eucharist celebrated together that “Thus far the Lord has brought us” and ask that he continues to direct our steps. If you want to take part in the meeting, please send as an e-mail to episkopalianie@gmail.com (of course, if you decide spontaneously to join us, you are welcome as well!). The participants do not bear any costs.